Turner’s award-winning architectural team has delivered a whole new urban experience that draws strength from a charismatic relationship between its built form and multi-layered public spaces. 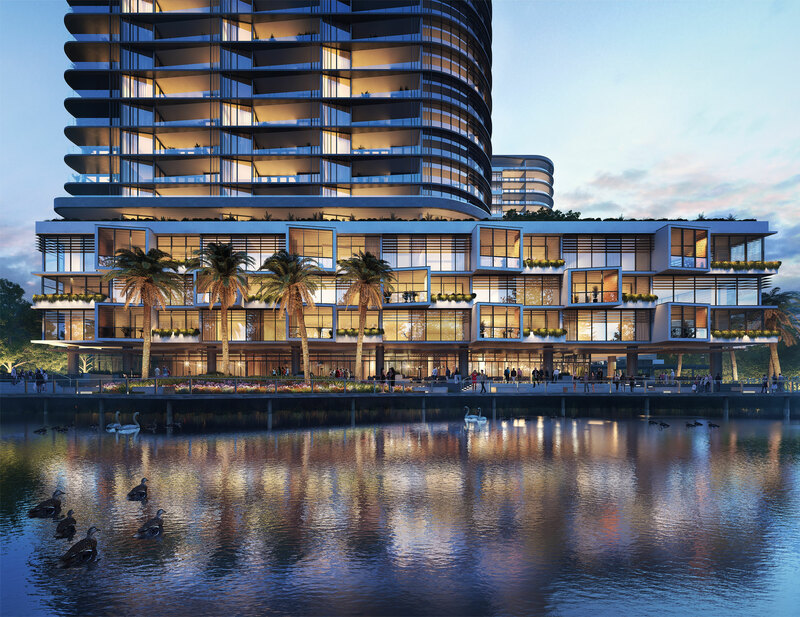 Composed of a busy urban base, a lush podium leisure zone, and slender sky towers, Esplanade’s sweeping curvilinear buildings are focused both inwards to the communal offerings, as well as outward to the lake, the district, and wider landscape. 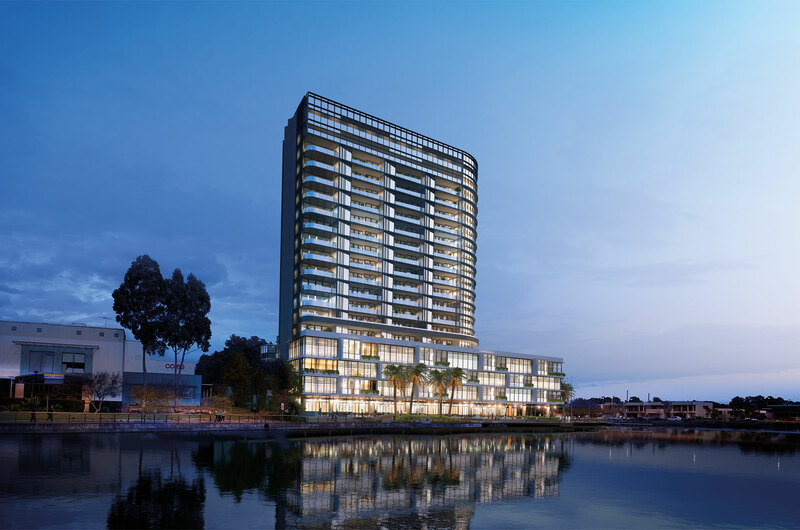 Engaging public spaces welcome you into the heart of the development, up to the residential sky gardens, the apartments, and creative commercial suites, whilst animated pedestrian realms give back to the lakefront surrounds. A sweeping lakeside plaza houses chic open-air dining under a sheltered waterfront colonnade, outdoor seating, sculpture, and water play for the children. 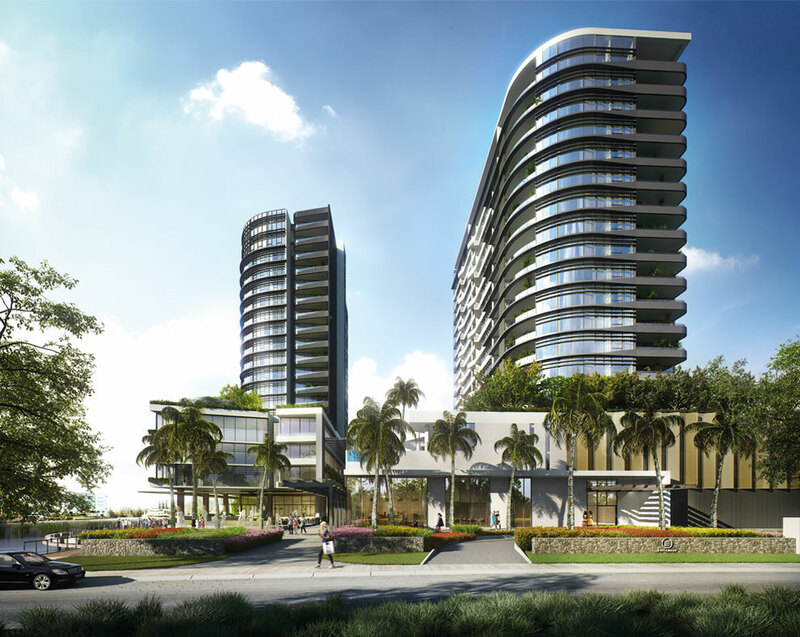 Above are luxurious residents-only podium terraces, providing verdant outdoor space for activity, gathering or repose, capitalising on the expansive views and offering exclusive sanctuary. Concierge style services are also available for both residents and commercial tenants to ensure the experience of living or working at Esplanade always runs smoothly.